Offered here is a collection of five game used New York Mets caps. The first cap was worn by Jose Valentin on May 29th, 2006 against the Arizona Diamondbacks. The Mets won this game 8-7, with Valentin going 2-4 with three RBI and two runs scored. In the sixth frame, Valentin hit a solo homer off Claudio Vargas. 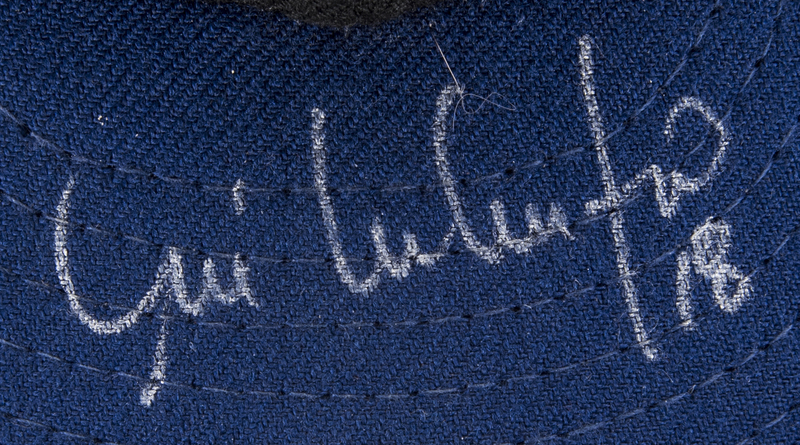 Valentin has signed the brim of this black and blue cap in silver marker. The second cap was worn on August 20th, 2006 by Orlando Hernandez. The Mets beat the Rockies 2-0 at Shea. Hernandez started and pitched six shutout innings, striking out eight, to earn his ninth victory of the season. 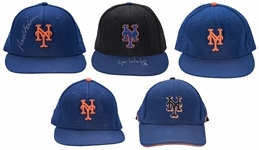 The third cap in this lot was worn by Paul Lo Duca during the aforementioned August 20th contest. The fourth cap is a Spring Training cap worn on March 31st, 2007 against Tampa Bay by Willie Randolph. The number “12” is written on the underside of the brim in black marker. 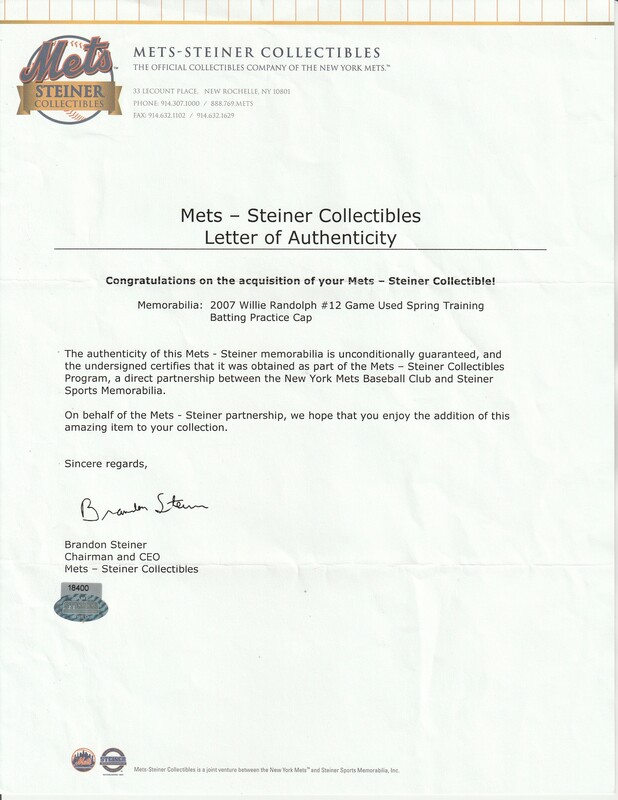 This comes with a LOA from Mets-Steiner for the game use. 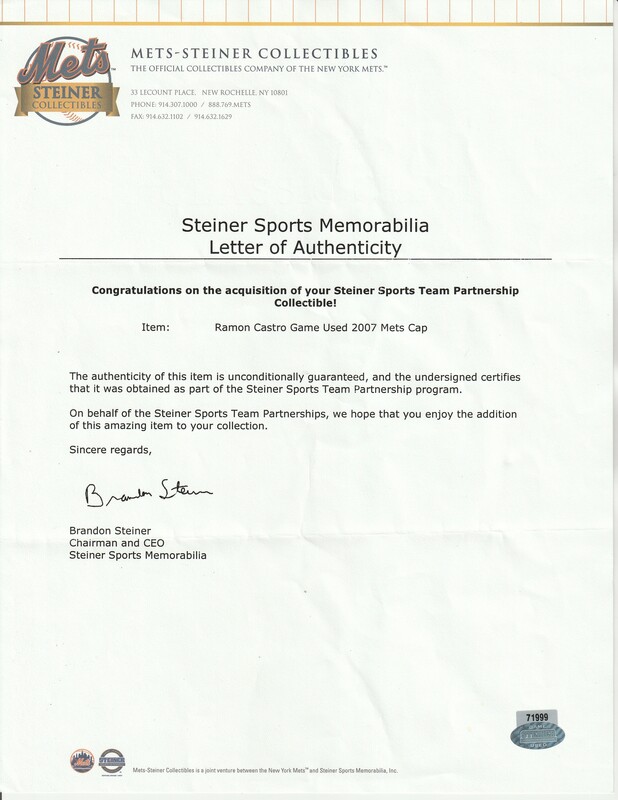 The final hat in this lot was used by Ramon Castro in 2007. It is monochrome blue, with an orange Mets logo on the front. 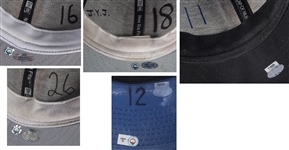 The number “11” is written inside the cap. It comes with a Mets-Steiner LOA for the game use. 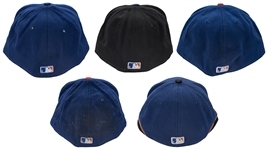 The remaining caps in this lot come with a MLB Authenticated hologram (BB 067528, BB 234216, BB 234224, BB 435341).